The Annual Conference of the Society for Teaching and Learning in Higher Education (STLHE) will be held in Winnipeg, Manitoba — 11-14 June 2019 — with the theme “Guiding the Journey: Learner – Teacher – Learner”. We are pleased to inform you that the call for papers is now launched. 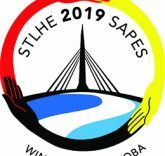 You are invited to submit a proposal for the STLHE 2019 conference by 10 January 2019.